Dr. Daniel Diemers is an advisor to executives in the financial services industry for Strategy&, PwC’s strategy consulting group. Based in Zurich, he is a Partner with PwC Switzerland. He is a member of our Financial Services practice in Europe and the Middle East. He has 16 years of consulting experience in financial services and covers themes such as strategy, operating models, digital innovation, and regulatory and risk management. He also has a particular focus on strategy development and implementation in the wealth management and private banking sector and has worked with leading banks and wealth and asset managers across Europe and the Middle East. 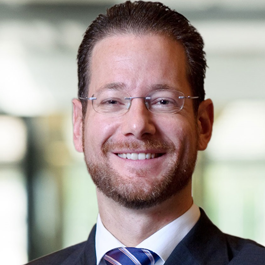 Daniel Diemers has contributed to our global wealth management platform by co-authoring viewpoints and presentations, as well as participating in industry forums and conferences. Before going into consulting, he ran his own business, developing internet-based, early-warning systems, and did academic research on how the digital transformation impacts economy and society. He holds a PhD and a Diploma in Economics and Business Administration from the University of St. Gallen HSG, and has a CEMS Master in International Management (MIM) from the Rotterdam School of Management.